What fifth element did Aristotle add? Although Empedocles is understood to have been the first to propose the four basic elements, Aristotle is sometimes given this credit. Aristotle did propose a fifth basic element though, which he called aether. Aether was a divine material that Aristotle said made up the stars and other planets in the sky. 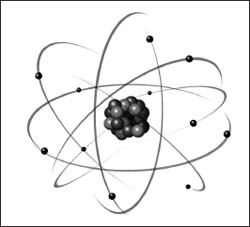 The earliest theories of the atom came about in ancient Greece, where philosophers correctly surmised that there were different kinds of atoms and that they contained mostly empty space—all centuries before the invention of the microscope!